I would like to try the Chicken Pot Pie the most but they have so many good recipes. I love that it only contains Sea Salt. I do not like all the other stuff they add to processed food. Their Stir Fried Beef and Broccoli sounds delicious! We were just talking about trying to make some of our own Chinese dinners. It would be nice if they had set their recipes up with pictures so that they would be easy to pin for later. Either way, sounds great to me! Beef Stroganoff sounds really good right now. 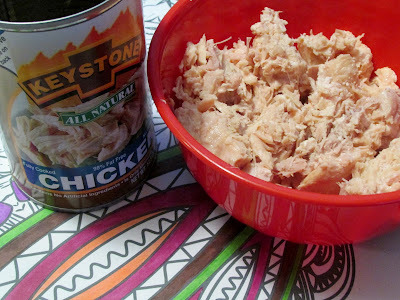 I am always looking for good Shredded Chicken sandwiches, so I would try that recipe for sure. I would love to make the Shredded Chicken Sandwiches for my family! I love bbq and I would make the pulled pork sandwich. I'd love to try the Chicken Pasta Salad, it sounds good & easy to prepare. I want to try their Chicken Pot Pie. It sound delicious! I bet it is great! I would like to try the Chicken Noodle Soup recipe soon. I would love to try the buffalo chicken dip. Like to try the Stir Fried Beef and Broccoli. I would make chicken pot pie! I'd like to try out the Shredded Chicken Sandwiches! I'd love to make the Buffalo Chicken Dip recipe! I would like to try the Chicken Pot Pie. Chicken Pot Pie caught my eye! This is the recipe I would love to try! I would like to try the pulled pork sandwiches recipe. I want to try the Chicken Fajitas. They sound delicious. I want to try the crunchy turkey salad. I'd like to try the Chicken Pasta Salad. 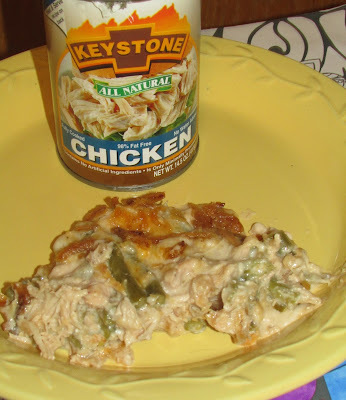 I would like to try the Keystone recipe for Chicken Fajitas. Chicken Pot Pie sounds the best! I'd try their Chicken Fajitas recipe. Chicken Pot Pie. My Mom used to make it like this. I would like to try the chicken pot pie recipe. I want to try the chicken pot pie! I'd love to make the Buffalo Chicken Dip. I would make the easy chicken noodle soup recipe. I am most interested in their recipe for chicken pot pie. I've never had canned meats but I can see how convenient they could be on those busy weekday nights during sports seasons. I would really like to try the Crunchy Turkey Salad. Roasted Pork with Sauerkraut sounds delicious! The chicken pot pie sounds yummy but I also have a chicken and noodle recipe that it would be perfect in. I want to try the Patty Melt. 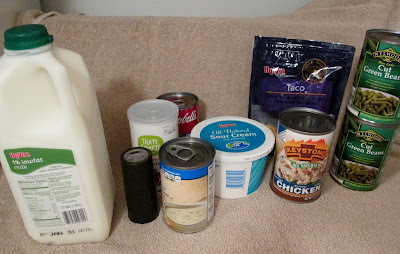 I'd love to try the Easy Crock Pot Pork Carnitas. Sounds tasty! I'd like to try to make the patty melts. I'd like to try the chicken pot pie recipe. I would love to make the Easy Shepard's Pie. Looks delicious! Mmmm.....it's between the chicken pot pie and the beef stroganoff recipes. They both look super delicious.